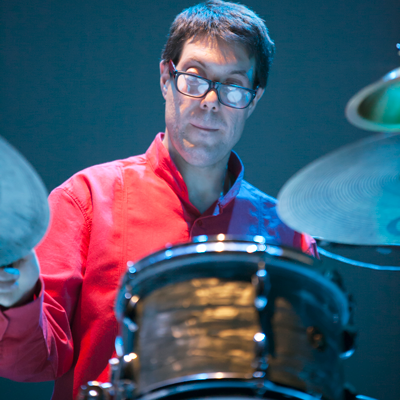 David, through the drums as the main instrument, shows us a very personal point, proposing an open and risky repertoire, different in each performance, where improvisation and free joyn the exploration of the drums as a solo instrument is decisive. The repertoire is based on melodic-rhythmic lines already written, , that develops and links through sound, landscapes, atmospheres and textures, creating music without a solution of continuity. Sound, poly-rhythm, melody, silence, chaos and energy are some of the ingredients of these universe. Pure alchemy! There’s no doubt about John Coltrane being one of the most important and revolutionary musicians in the history of Jazz. QuarTrain takes as a reference two recordings of the 90s, “Pursuance: The Music of John coltrane” from the saxophonist Kenny Garrett and “After the Rain” from the guitarist John Mclaughlin, both a tribute to Coltrane, in which guitar takes more presence than usual in author’s Work. This point added to interest for Coltrane’s work, inspires the band on the reinterpretation of classics as Naima, Alabama Like Sonny, always or from a diferent perspective and sound. 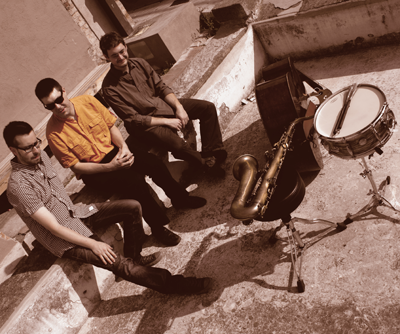 In 2013 David Viñolas Trio borns to investigate and offer a very personal vision of music. This is a band without harmonic instrument, where the melody, the poly-rhythms and improvisation of three musicians are equally important tools used to find new colours and textures. Swing, groove, free or collective improvisation, apart from other styles, are the basic ingredients the trio uses to provide its music. Despite the constant evolution of the repertoire, David keeps original pieces as the main course adding also some version and standard translated to his particular musical point of view. In 2014 publishes the album “Cap al capvespre” (Quadrant Records), that receives good fidback from the critical and toures around the Catalan geography as the Jazz Vic Festival or the Jamboree Jazz Club in Barcelona among others. 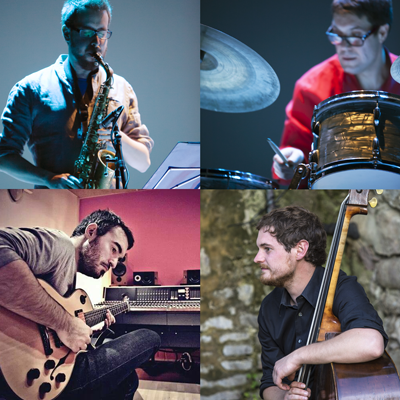 From the veginning the trio introduces small interludes of poetry in between and during its performances as a source of inspiration for some improvisations. The trio grows constantly so the three musicians are always investigating and risking to find and offer new colours and textures. Communication, energy and talent of the three musicians make each concert different.